Baileys® liqueur launched in Ireland in 1974. Now the cream liqueur can be found across 180 markets worldwide and is the number one selling liqueur in the world. It goes without saying that Baileys can be used in many ways and be paired with other ingredients to create delicious desserts, pastries or sweets. But when the summer comes, we long for something cool and refreshing. For most people, ice cream is a summer must. But we wanted a fun way to serve it, something that would attract a young and trendy generation. Remember the ice cream truck? We wanted to relive those happy childhood memories that surround it. But in a Baileys way. Enter the first ice cream truck with an age limit. To make Baileys relevant for the summer season we transformed their products into a number of delicious ice creams. We served them from the truck to reach our conscious and picky target group. We teamed up with the popular ice cream company Stikki Nikki to create four delicious liquor-infused ice cream flavours based on Baileys. We created the Baileys Ice Cream Truck, which toured Sweden and Denmark during the summer. The truck made stops at both Trädgården, one of Stockholm’s hippest summer clubs, and Distortion, a spectacular two-day street festival in Copenhagen. To make it possible for people to buy the tasty ice cream during the summer Stikki Nikki also sold them in their stores around Stockholm. To spread the word about Baileys Ice Cream Truck we invited influencers and media to a pre-launch party. They were the first to try the new ice cream, and to spread the word through social media. We also sent out a press release in Sweden, Denmark, and Norway and designed a recipe booklet, so the fans could make the ice cream at home. The campaign was a huge success with a total reach of over 7 454 886 in the Nordics. The partnership with Stikki Nikki and the cool locations for the Baileys Ice Cream Truck tour made it possible for Baileys to reach a young and more aware target group. To summarise, the campaign did not only create higher awareness for Baileys in the Nordics, it made it relevant for a whole new target group. With the first Baileys Ice Cream Truck for adults and delicious ice cream recipes together with Stikki Nikki we really made Baileys ice cream the treat of the summer! During December, we treat ourselves and take time to create even though it is the most hectic period of the year. The fact that Baileys was not a natural part of these festive baking activities was a mystery for us, and something we wanted to change. To make Baileys a given part of these festive baking activities during December, we felt it was time to put Baileys in the centre of these activities. Our idea? We opened up a magical Christmas Baileys Bakery. 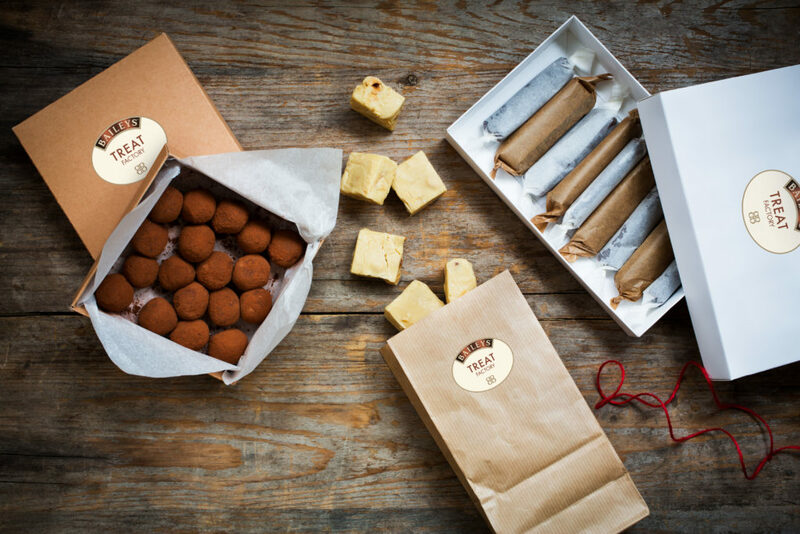 We partnered up with Tea Malmegård, one of Sweden’s top confectioners. During a weekend in December, we created a creative getaway where people could enjoy and spend time together during two hours baking class with Baileys as the hero ingredient. The campaign was a huge success with a total reach of over 9 500 000 in Sweden and Norway. From the media and influencer event with 20 people attending, we had over 70 Instagram stories. The classes were fully booked and the feedback from the participants was very positive! Baileys® liqueur launched in (city) Ireland in 1974. Now the cream liqueur can be found across 180 markets worldwide and is the number one selling liqueur in the world. 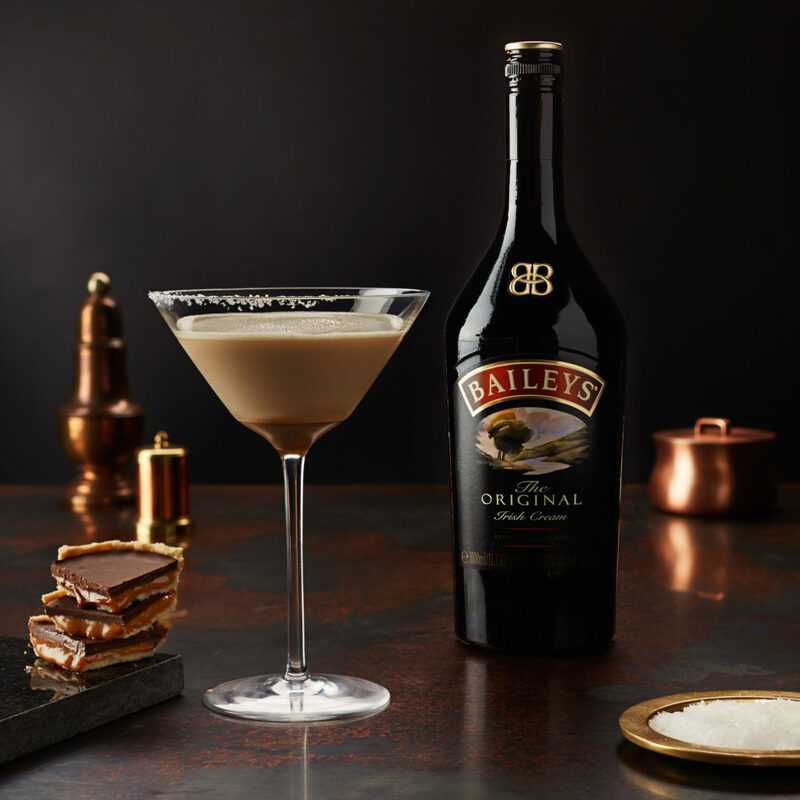 Owned by Diageo plc, Baileys® ingredients include Irish whiskey and fresh double cream and is offered in two additional novelty flavors of Vanilla Cinnamon and Chocolate Cherry. For more information on Baileys® Original Irish Cream, please take a look here. AWB is the strategic and creative partner for Baileys® in the Nordics. We work with developing new ideas and concepts to strengthen the brand in Sweden, Norway and Denmark. Last year we created two campaigns in the Nordics, Ca30 and Co-lab. Baileys® liqueur launched in (city) Ireland in 1974. Now the cream liqueur can be found across 180 markets worldwide and is the number one selling liqueur in the world. Our mission was to position Baileys as a post-dinner treat around the Christmas season, as well as attracting a young and urban target group. We wanted to make Baileys a part of the Swedish Christmas tradition, and what’s more a traditionally Swedish than the Swedish julbord? We wanted to challenge this old tradition and re-invent it for the modern day. We wanted to make it smooth, efficient and tasty, just like Baileys. We created a pop-up julbord with the full experience in only 30 minutes. We decided to name it just that; Ca30. We teamed up with top chef Daniel Guest at the Miss Clara restaurant to recreate the full julbords experience in only 5 small dishes. The desert? Baileys served in a cookie cup made by the highly acclaimed pastry chefs at Tösses. To create a buzz for our restaurant, we spread the news through Miss Clara’s social channels. We also invited both press and influencers to try our julebord. Members of the public were then welcome to book in a 30 minute slot to enjoy for themselves. The campaign was a huge success with a total reach of over 4 245 483 in Sweden and Norway. In the spring of 2017, Baileys launched Baileys Iced Coffee Latte – a pre-mixed coffee drink to enjoy with friends on a sunny afternoon or as dessert after dinner. To make Baileys Iced Coffee Latte become the drink of the summer across Scandinavia, we knew we had to speak to the younger generation. We had to kick the notion that Baileys was a drink for older women and invite the hipper crowds to fall in love with the delicious drink. To make Baileys more appealing for a younger and more aware target group, we felt it was time to combine Baileys with something new. Our idea? Combing Baileys with iced coffee and make it the drink of the summer. We partnered up with a small coffee roastery, ‘It’s Cold Brew’, who produce their own cold brew coffee. Founded by coffee expert Aadel Kersh, music artist Fiona Fitzpatrick and producer Stefan Axel Foley, we knew they’d be the perfect partners for the job. We launched three pop-up breweries across Scandinavia, one in Stockholm, Oslo and Copenhagen, running throughout the summer. The ‘Co-Lab’ pop-up served delicious iced coffee drinks and offered ‘Brew It Yourself’ courses to learn how to make the drink at home. The campaign was a huge success with a total reach of over 23 500 000 in the Nordics. Through the pop-up brewery and the delicious drink recipes of Baileys and cold brew coffee, we succeeded in making iced coffee drinks the drink of the summer for a younger and trendier consumer across the Nordics! Also in Sweden, the Baileys Iced Coffee Latte product reached the shelves of Systembolaget with over 128 local listings and 12 permanent listings from the 1st of September – only through consumer orders!